“Why God why?” is how my one-sided conversation with God starts. “Why girl why?” is the reaction that I get from my friends; bless my family, they have made their peace with things. Well all this fuss is about me being allergic to milk & milk products. Yeah I am lactose intolerant and that’s the bane of my amazing existence. The other day in my quest to find a new restaurant/cafe that could satisfy my craving for something different while at the same time deal with the restrictions, I stumbled upon Fat Ninja. 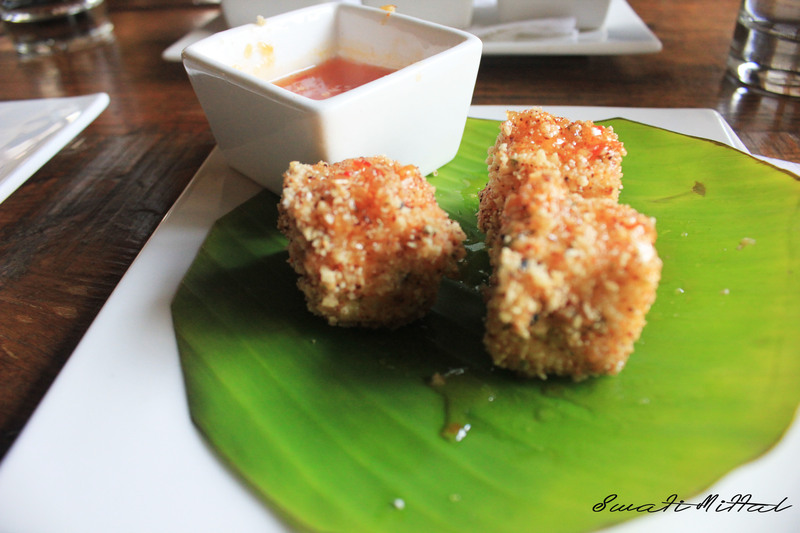 Located in the ever-bustling Hauz Khas Village, this restaurant surely lived up to its name. I felt nothing less than fat once I left the place. I have no one but my brat of a baby sister to thank for this new hangout of mine. 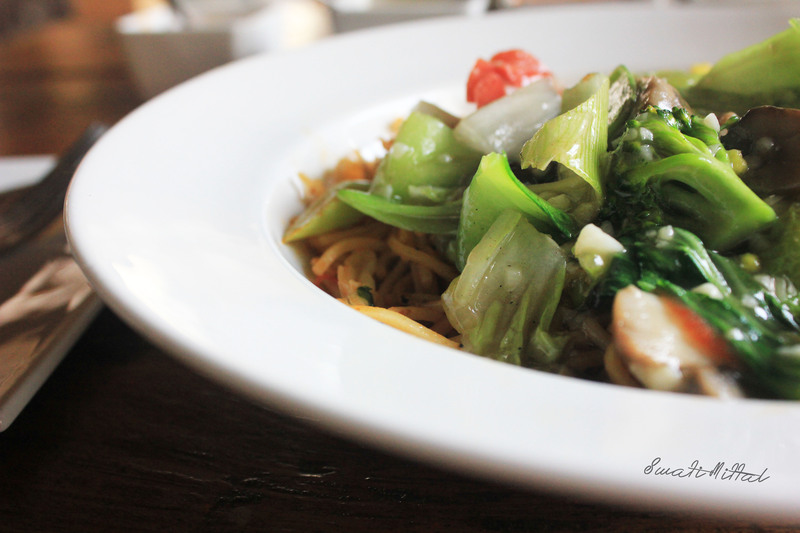 For a Chinese cuisine addict like me, this place was simply fabulous. They have quite an extensive menu, so vegetarians like me do not need to worry much. The one thing that worked wonders for me was their Ninja combo meal. The meal in itself was quite a surprise package. The cherry on the cake was that the entire meal will set me back by just Rs. 549 plus taxes. But then all the tempting things come with conditions applied*. 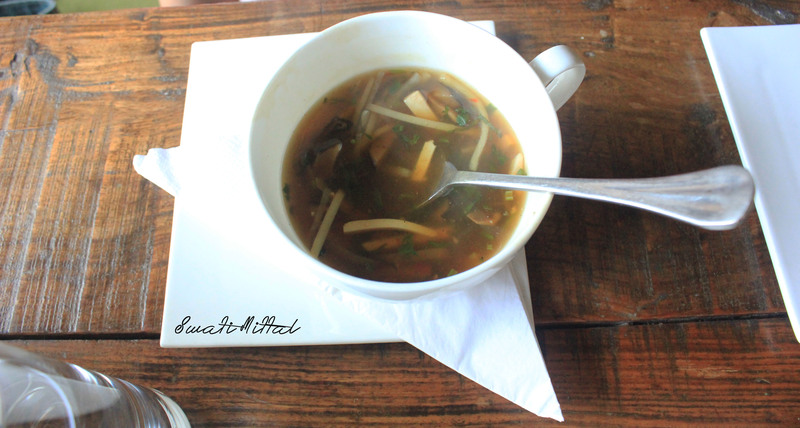 So, we started with soups: Manchow for me and Hot & sour for my sister. Boy was I skeptical about Manchow?! Can’t be blamed considering even 5-stars serve the Indianised version, and I wasn’t expecting anything different. But they proved me wrong. The chef did full justice to the soup. The finely chopped vegetables added to the basic taste of the soy, garlic, and everything that goes into it ( sorry not much into cooking… guilty as charged). Even Hot & Sour was quite delicious, but for me Manchow won hands down. For starters I ordered Veg. Salt & Pepper (yeah a regular choice) while my sister being the experimental one ordered Tofu Katsu for herself. The dish was made of huge chunks of tofu rolled in bread crumbs plus one more ingredient that I couldn’t figure out. It had a hint of garlic to it that absolutely tantalized the taste buds. My Veg. Salt & Pepper was quite average and there was scope for improvement. The chef went overboard with peppercorns in the dish and it was quite annoying to be munching on them (not to forget that it was spicy as hell). Our main course comprised of two dishes: One was Veg. 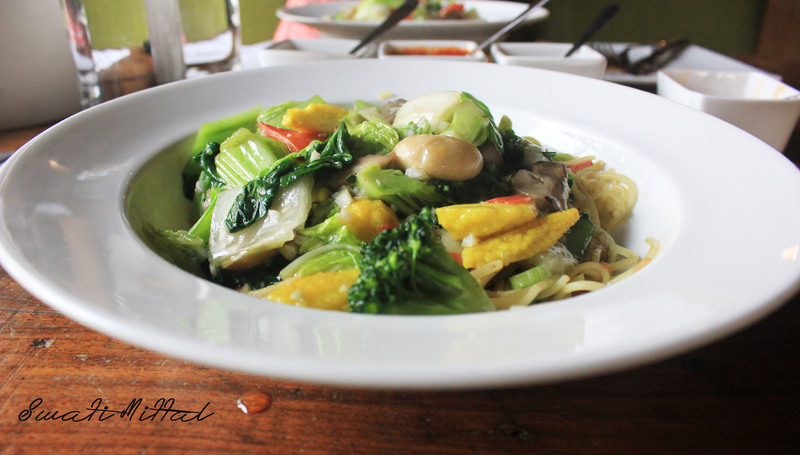 Hakka Noodles with Assorted Vegetables in Hot Chilli Garlic Sauce while the other was Chilli Garlic Noodles with Assorted Vegetables Cantonese Style. Let me tell you that we were not at all disappointed. Thank the Lord that the chef believed in authentic Chinese and not the Indianised version. The portion sizes left nothing more to be desired. A perfect meal for a person alone and not just because it was one of their conditions, but solely for the scrumptious factor. You just wouldn’t want to share! Food set aside (that really won’t be possible) the place is quite warm and cosy with two floors to cater to one and all. My favourite setting is that on the terrace. It gives you an amazing view of the village and well a perfect place for a quiet romantic date (Sigh! The romantic in me is back after a long vacation). So, to cut the chase, this place is a must try for the food as well as the ambiance. P.S. Fat Ninja can do without kitty parties hosted and attended by loud, over-boisterous aunties. They definitely don’t add to the mood. via In the small hours.